I can not say much about this server, as I play only a year and a half, but the emotions that gave me this server - were unforgettable. 7 users thanked TimoGear for this useful post. Would it be possible for a higher up to state why exactly Eyedentity doesn't want a contract extension? Or is this information classified o-o? 4 users thanked Tyaba Ryū for this useful post. All good things needs to end uh ? Well pretty sad to see this game close this way, our server has been handled like crap over the years so it's not so surprising at the same time. Anyway just here to show support to the community, which isn't dead at all compared to the amount of players we had the last few years. I personally left the game a few months ago but i still miss playing it. Also wanted to ask if the server really was doomed, would it be possible to make old raids available until closure (RDN/IDN ? even older ones ?) my first thought after the annoucement was to go back to the game and make some "farewell runs", not sure it's technically possible but that would be great. Now that this is done, i probably won't come back to the game if it were to stay open so it's a good time as ever to say i've met a bunch of great people over the years, from guilds to raids, actually too many to list but they can recognize themselves lol. you guys da real mvp. Also Moonlord mains have negative IQ. 1 user thanked PlebNox for this useful post. You can quote me now. Yes, looks like you were right. The info I was given was that servers won't shut down during March and April, which I guess still is true, just not the way I would have liked it to be. My main issue was still that everyone just jumped to conclusions and people have been saying the servers will close for years now, it's not something new. If everyone keeps saying it, then someone will be right eventually. With that being said, call it denial or whatever you want but I still have hope that ED changes their mind and hosts the European servers as there is no alternative available for us and our community is definitely big enough to warrants it's own region. 3 users thanked Disappointment for this useful post. the announcement of the server closure hit somewhat expected yet still was a big shock to see. While the server might not have the biggest population like other games, it definetly has one of its dearest and hard working players are grinding every day (some even cash every day) and are enjoying the game to a very big extend. While one might argue that those people arn't on the forums, they definetly were ingame. Now that has obviously changed since who wants to waste effort if their game and everything they managed to build up is going to get closed and gone. I am not trying to make demands but I dearly insist that you reevaluate the games worth and what it means to all of us. I sincerly hope that you can make an adjustment to your communications and give us another chance. 6 users thanked EthelindaSora for this useful post. Hello. EyeDentity, CC, those guys who wanted me to post on the forum and strangers who coincidentally read this post. The announcement of the server close has been one of the most shocking and unexpected events of recent times in my life, so much so that I’ve been struggling to find the perfect words and sentences to convey how I’m currently feeling (So here i am posting 4 days after the 1st post). I can only say that many of my fellow players and friends I’ve talked with are also shocked with the news of the server closure, I want to keep playing this game with my friends so please find a solution whether that be a server transfer with our items or EyeDentity actually hosting a server. This might not apply to everyone on the server but there are plenty of players that have sunk unfathomable amounts of hours into the game, this is an indisputable fact. The level of dedication that many of us have towards the game is nothing less than an inhuman feat; no other game I’ve played has come close to the amount of effort and time sunk as Dragon Nest. 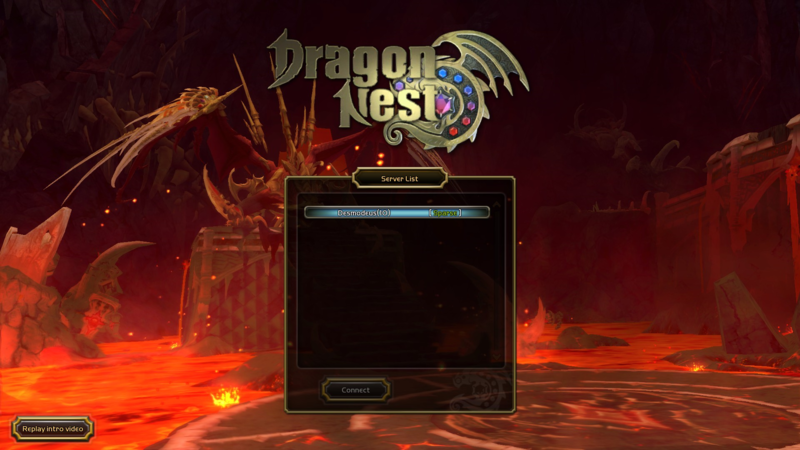 Many people come home from work, school and university and they immediately boot up Dragon Nest to play; this is the community of Dragon Nest. Looking through this forum there are many of us that share an emotional connection with this game and have fond memories of playing with friends in this game. Please find a way to allow us to keep playing this game. tl;dr: big emotions, find another way to let us keep playing. 7 users thanked AWWatermelon for this useful post. I wouldnt have thought that the announcement of DN EU server closure would make me this sad . Like many people said already this game and its community is truly unique. I have been playing this game for many years now and every attempt of me quitting failed it is just straight up the most enjoyable MMORPG out there. It really hurts to have something taken away from you that you have invested alot of time into and enjoyed playing . Even just sitting in Saint Haven for hours and just chatting with people or beating up the Training Ground Dummy was more enjoyable than playing any other MMORPG. I want to say thank you for everyone who i played with in the past &amp; pretty much the whole community for being awesome you guys really made this game worth playing. I just hope that this is not the end of "DN EU" and that there is a way to find another publisher &amp; hopefully save our data. 6 users thanked Kizun for this useful post. As a bit of backstory. I left the guild i was in for a few years (ketsumei-kishidan) with great reluctance but things weren't going well in there. I was the lone mod and at some point basically just the leader for such a long time that it started to affect my emotional health. When i read the announcement last week with DNEU's closure i quickly rejoined the guild discord and just said farewell to many i saw/still see as family. If any of you KK members read this and want to talk you don't have to hesitate to DM me on discord, pretty sure some members still have my Discord tag in there. DNEU got taken over from CC after the server wipe caused by shanda, yet so many people are blaming CC for that. It doesn't work that way, but i will blame CC for what they have to be blamed. Starting with the wipe. Shanda provided some pretty good items for after the crash, BDN L (BDN L +10 for those that did the end of cap event), way too much gold (let's face it the economy was terrible after the wipe), a lot of stamps (seriouslty i still have so many left), etc.yet after that what did CC do? not much if anything. There was no proper way for new players to properly catch up unless they farmed like crazy and let's face it, not everyone has the time for that. Secondly events: What happened to those? And i'm talking about free events not those spend CC get DNP back cashgrab events. The last free event i remember is the facebook like events and those were not great either. Third what about feedback? It seemed to never reach CC unless it was something that CC would lose money on, then it was quickly and perfectly fixed. Yet buggs like RDN's alice bug where you couldn't advance to the knight took them a month to fix and even then it wasn't gone yet. It seemed like they were afraid of going over lvl 100 or something: 60 cap, 70 cap, 80, 90, 93, 95. Content was so scarce, don't get me wrong i love 93 cap and the awakening skills but that's where it ends. Nests were scarce and were just annoyingly tanky at all times, there were constant changes to how to gear making it confusing constantly. Their greed to make grindy not satisfying content seemed to be fueled by the fact that it makes it easy to monetise. In my opinion i saw DNEU's closing coming and DNNA will follow soon with it if ED sees DNNA go under the revenue line. I don't like it closing down either, so much time of my life was spent there, so much of myself i put in there that it emotionally hurts. 2 users thanked BitingTiger for this useful post. 2 users thanked RadmunD for this useful post. Sad you and your fellow dark characters cant abuse pvp. Well, i've been playing Dragon Nest for 7 years and my tries to find any alternative game always failed. I am really enjoying this unique combat system and design. I've been playing on official russian server for 6 years. We had incredibly smart friendly community, good forum with big guide system wrote by localisation team and players. All peace zones and Coliseum always was full of players round the clock. After 2 years without receiving updates and new patches it was closed. Localisation team said that they have expired the contract and they can't extand it. It was hard to start all again, but whatever i moved to europe server with my little guild. And now it is happening again. I don't have any insight information about amount of donations and on-line players, but from the point of view of an ordinary player there were no reasons or preconditions for closing the server. To be honest i'm sad and upset now not because of losing geared characters and other stuff but because players on europe territory will not be able to play Dragon Nest on official servers normally because of great server delay. I don't know why Eyedentity just killing this community. 6 users thanked Chepuhovna for this useful post. This announcement left me speechless for quite a long time, didn't know how to really react since DN was the one and only game I enjoyed so much with it's unique battle system and characters. Other than that i started in Sea at 40 cap and because of the ping I couldn't do much bit I love the game to even stay there just to do little things around that awesome world I discovered. After 60 cap I found out about the EU server so I slowly transferred there just because of the ping. It took a long time to have a stable activity since I was always looking for that community to settle in, have fun and feel comfortable with. Only last year I have finally found the family I belonged in and met amazing people in and outside of that guild. It's heartbreaking that we are being forced to say goodbye to something that gave us joy for so long, and to all those amazing people that made this experience better. I hope something will be done about this and we won't be left hanging like this. Also to CC, I'm not really a casher but those last events about cashing and DNP was such a rip off for your customers to just tell them in the end their money is going to waste. Congratulations you've done everything to make people angry and sad. I'll miss you Dragon Nest, I'll miss you Rurouni and to my Kali that I love so much will miss her. Thank you to all of the people that supported this post and that fight for it! Never give up, we support each other! 5 users thanked VinNeko for this useful post. Someone have news about ED ??? I have check DNNA = not connexion found at patcher ??? 2 users thanked SeefieldDNEU for this useful post. But try to massive contact Korean Service Game : Pupugame / Eyedentity / ENP Games. - ENG GAMES (CEO) Lee, Seung-jae (CEO), CEO, Digital Road 9, Gumcheon-gu, Seoul Customer Center 1644-0759 · Fax 02-6959-1081 · Email cs@enpgames.co.kr Business Registration No. 113-86-64298 · Telecommunication Sector Report No. 2017- Seoul Geumcheon-0543 COPYRIGHT © ENP GAMES. All rights reserved. "ENP Games Co.,Ltd. develops mobile games. The company is based in Seoul, South Korea." They are in a partnership with Eyedentity Games, which means they are not the same company. 1 user thanked Menalie for this useful post. Mostly, there are a lot of problems that can happen to the situation connected to this type. If you started to work with the server only, you will see. You guys best start looking for some kind of alternative game when the server shuts down although I wonder what majority of you plan on doing. Moving to a different MMO/Online Game? I wonder even if they did manage to keep the server running would you expect a "server crash 2.0"
It is a pitty that hgame developers shut down such great game . There are so many people who still play it and enjoy together. Especially because we don't know the exact reason of this, it feels like you have been cheated or something. I hope that this decision will be rewieved again. are there any updates now where we from EU can play now? i tried today to log in in NA and SEA and there is still the IP Block..